We all have seen how poorly planned or executed games dam up that stream, just as prolonged announcements, poor musical transitions and unprepared preachers do. On the flip side, think of how much energy a great game can create. If you are using games as filler, my advice to you is simple, get rid of them. Don’t do games unless you’re willing to work hard to make them a game changer. Put some real effort into them, or find someone who will if you’re not able to. Having great games is not impossible, but it will require you to be creative, work on the presentation and it helps to have FUN! The beauty about games is that they don’t need to be long (and usually shouldn’t be) to create a real energy that leads to a better overall flow. So take some time to evaluate your games today. 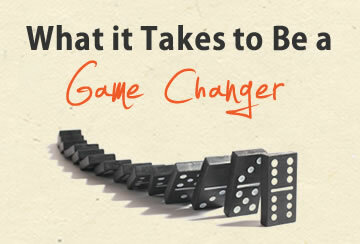 What can you do to make your games a real game changer?